When an automobile’s engine is improperly lubricated, it can be a major hit to the pocketbook and the environment. For the average car, 15 percent of the fuel consumption is spent overcoming friction in the engine and transmission. When friction is high, gears have to work harder to move. This means the car burns more fuel and emits more carbon dioxide into the atmosphere. While oil helps reduce this friction, people have long searched for additives that enhance oil’s performance. Huang and his collaborators discovered that crumpled graphene balls are an extremely promising lubricant additive. In a series of tests, oil modified with crumpled graphene balls outperformed some commercial lubricants by 15 percent, both in terms of reducing friction and the degree of wear on steel surfaces. Supported by the Office of Naval Research, the team’s research is described in an article published online on January 25 in the Proceedings of the National Academy of Sciences. 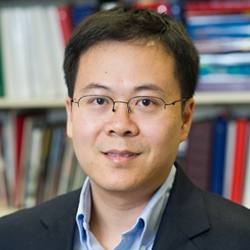 Xuan Dou, a graduate student in Huang’s laboratory, is the paper’s first author. 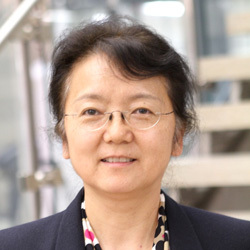 Northwestern Engineering’s Yip-Wah Chung, professor of materials science and engineering, and Q. Jane Wang, professor of mechanical engineering, are also authors on the paper. 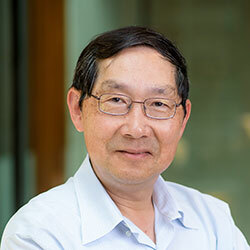 That “a-ha!” moment led to a collaboration among the two professors and Wang, who was in the middle of editing a new Encyclopedia of Tribology with Chung. Nanoparticles, particularly carbon nanoparticles, previously have been studied to help increase the lubrication of oil. The particles, however, do not disperse well in oil and instead tend to clump together, which makes them less effective for lubrication. The particles may jam between the gear’s surfaces causing severe aggregation that increases friction and wear. To overcome this problem, past researchers have modified the particles with extra chemicals, called surfactants, to make them disperse. But this still doesn’t entirely solve the problem. Because of their unique shape, crumpled graphene balls self-disperse without needing surfactants that are attracted to oil. With their pointy surfaces, they are unable to make close contact with the other graphene balls. Even when they are squeezed together, they easily separate again when disturbed. Next, the team plans to explore the additional benefit of using crumpled graphene balls in oil: they can also be used as carriers. Because the ball-like particles have high surface area and open spaces, they are good carriers for materials with other functions, such as corrosion inhibition.